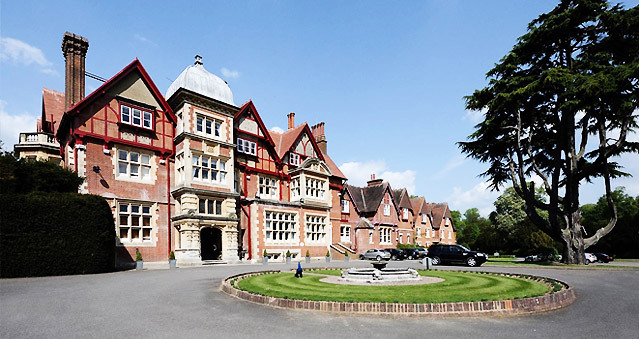 Pendley Manor, Hertfordshire, is located alongside the picturesque Hertfordshire town of Tring. Pendley Manor combines a wonderful countryside location with modern and flexible facilities making it the finest conference venue Hertfordshire offers. Just 40 minutes from London and close to the important local centres of Luton, Milton Keynes, Watford, Aylesbury and Hemel Hempstead, Pendley Manor really is the first choice if you need conference venues in Hertfordshire – and it’s perfect for events, meetings or training seminars. All the purpose-built meeting rooms within the Harcourt Conference Centre benefit from natural daylight, air conditioning and 3.3 metre high ceilings. They have been designed to offer you maximum flexibility while providing an ergonomic meeting environment for between six and 200 people.